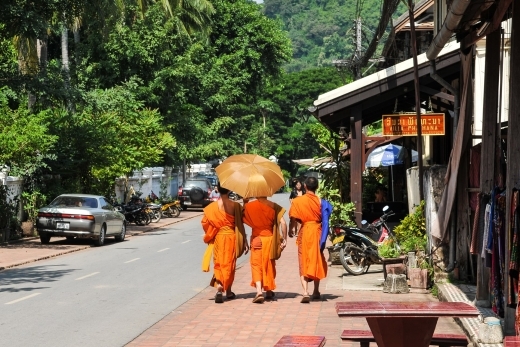 The charming former Laos capital of Luang Prabang has fiercely guarded its religious traditions for centuries. 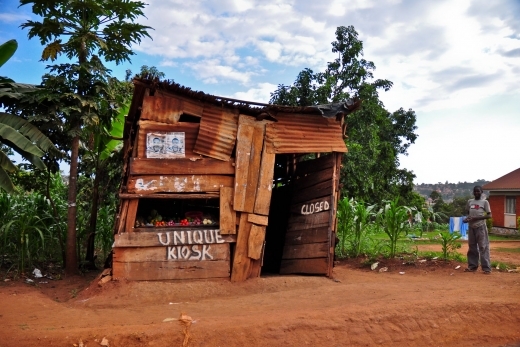 Yet, the UNESCO town’s biggest test may still lie on the horizon. So now we find ourselves in Laos. We took the slow boat from the Thai border down the Mekong and ended up here in Luang Prabang, which by all accounts is an extraordinary place. 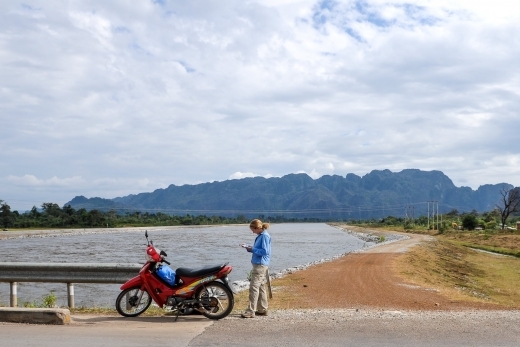 Like a lot of other travelers we’ve met, we knew very little about Laos before coming here. 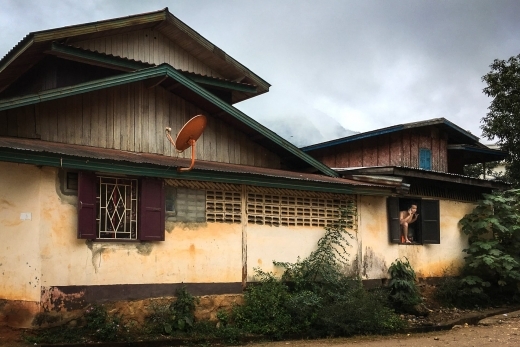 We had few preconceived notions or expectations given Laos’ relative obscurity—but what a relaxing and breathtaking place so far. Every Laotian we’ve met has been incredibly kind and seemingly sincere—even tuk-tuk drivers are courteous! The scenery is amazing too—lush green hills and red clay banks sloping toward the Mighty Mekong. 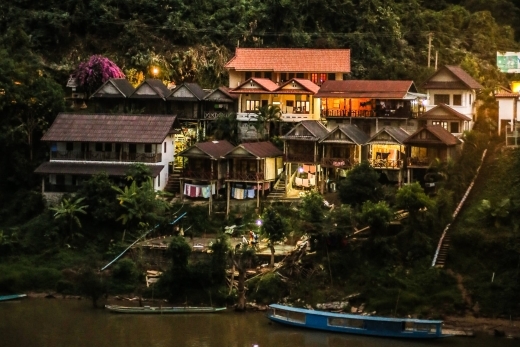 The town of Luang Prabang is also quite the surprise. We are staying in the historic UNESCO quarter near the famous alms-giving temple. It is one of the most peaceful and quiet towns we’ve visited in Southeast Asia. The roads are lined with French-influenced guesthouses and restaurants, brick sidewalks, and tamarind trees. Local children play in the streets in the evening and you can stroll around the old town free of hard-selling touts, save for the low-key woman on the street corner asking “Massage Madame?” or the random sketchy Lao dude passing you on the street whispering “waterfall tour, smoke-smoke, joint?” outside of the boutique artist gallery and bookshop. First thing on the Saturday morning agenda? 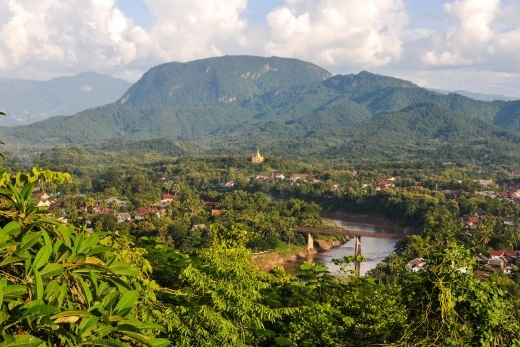 Hike up Luang Prabang's revered temple hill, in the heart of Old Town. Our two-day Mekong boat journey from Thailand ends at an astounding place – owing to its mysterious, historical, and natural character, and the fact that we hadn't read up at all on this amazing destination. Two days on a long wooden boat cruising down one of the world's great waterways. 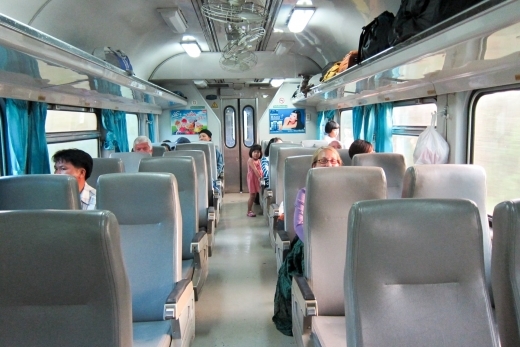 Read on for our full report on riding the "slow boat" from Thailand to Luang Prabang. 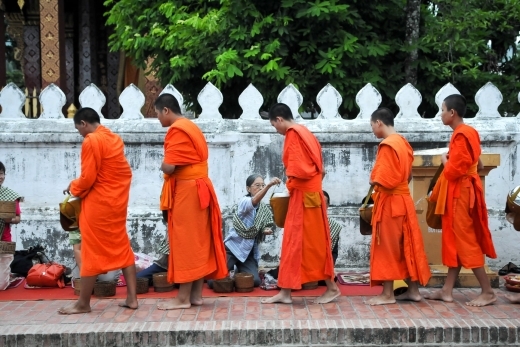 How do you follow a memorable day in Luang Prabang, Laos? 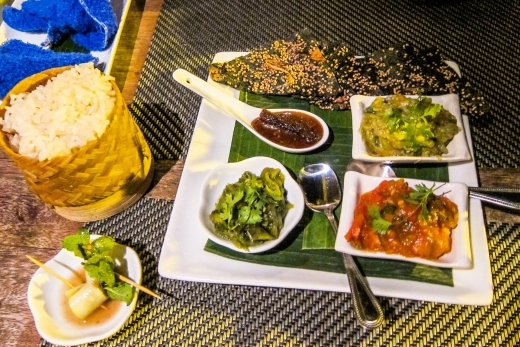 With an unforgettable dinner experience. 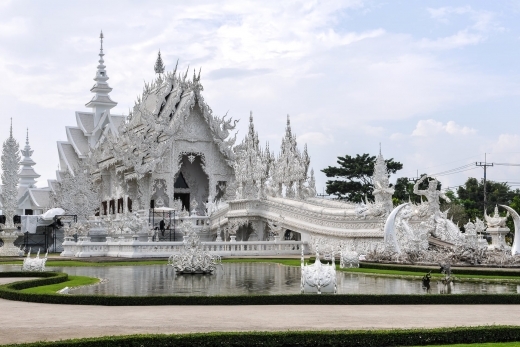 Wat Rong Khun was by far one of the most unique temples we visited in Thailand — it is also one of Thailand’s newest. 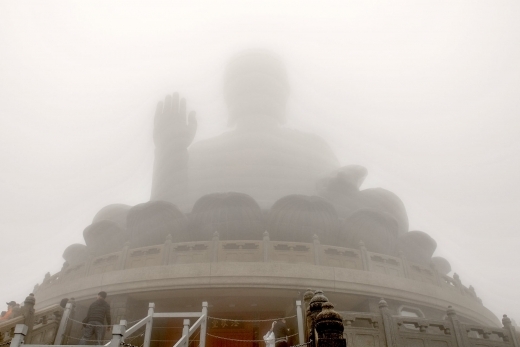 Construction began in 1996 and is not due to be completed until 2070! After four nights in Railay and three weeks beach-hopping in Thailand, we bid adieu to the ocean and headed north to Chiang Mai and the highlands.